Stephanie de Valle (19), Miss Puerto Rico, was crowned Miss World 2016 at the conclusion of a glittering event at the MGM National Harbor in Maryland. 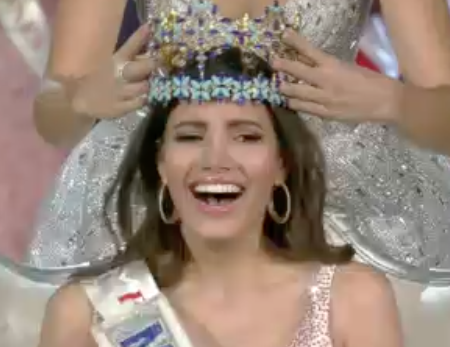 De Valle is the second Miss World from her territory and the first since 1975 when Wilnelia Merced, now Lady Forsyth, took the crown. The 66th Miss World will spend the next year traveling the world on behalf of the Miss World Organization as the face of Beauty With A Purpose. The first runner-up was Miss Dominican Republic, Yartiza Reyes, and the second runner-up was Miss Indonesia, Natasha Mannuela. 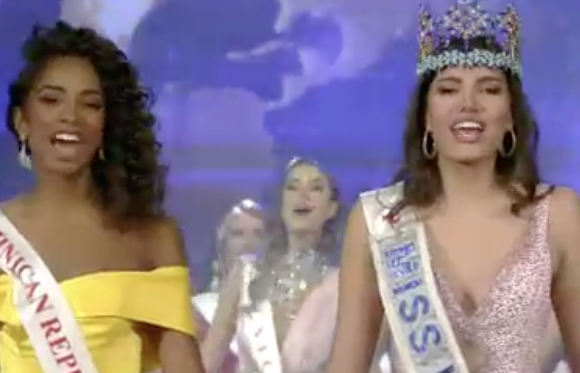 Miss Kenya, Evelyn Njambi, and Miss Philippines, Catriona Gray, completed the top 5. The top 10 were completed by the delegates from Belgium, Brazil, the United States, the People's Republic of China and Korea. 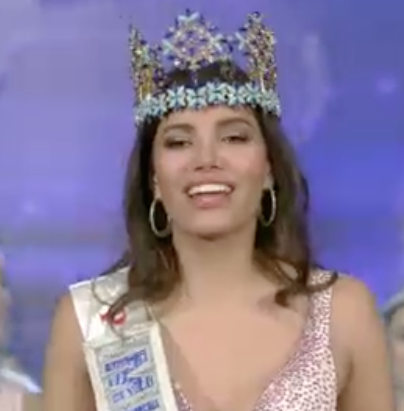 Miss Mongolia was named the People's Choice and made it a top 11. 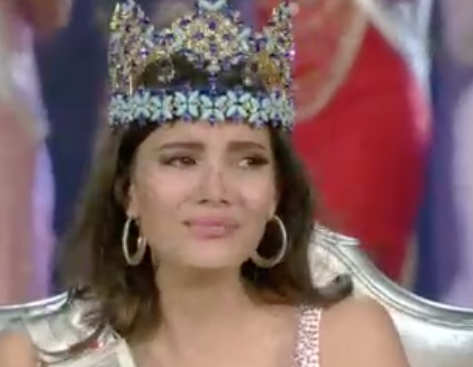 Misses Cook Islands, France, India, Slovakia, Australia, Thailand, Ghana, Japan and Hungary completed the top 20. I'm so happy and excited, especially because I know how much this means to my dear friend, Edwin, creator of the Times of Beauty. Well done. Puerto Rico, and enjoy this moment Edwin!!! Loved Dominican Republic, Philippines and Kenya too.